GDPR continues to disrupt the Marketing Technology landscape. Most CMOs are still chasing the GDPR standards that have become the pillars of data privacy for business today. While some organizations saw the 25 May enforcement deadline for the General Data Protection Regulation (GDPR) as the finish line for compliance, leading-edge marketing executives saw the day as a starting point of a journey to reinforce trust and actively improve the customer experience. Leaders see an opportunity to secure trust, loyalty, and experience. Laggards assume GDPR is someone else’s problem. 39 percent of marketers without a GDPR strategy felt the regulation did not apply to their business. Leaders lean in and take part in the strategic planning and execution. Laggards wash their hands of the burden. Leaders audit, assess and accelerate shifts needed across data and marketing and engagement’s technology stack. Laggards stay in the dark. 55 percent of leaders had already initiated some form of data audit to fully understand where and how customer data was being stored and collected. Leaders champion change on behalf of the customer. Laggards stick to the status quo. 37 percent of leaders are planning to upgrade capabilities across all data management solutions. Leaders are empowered by an idea that trust and engagement are the reward for compliance. Laggards are being held back by a lack of understanding GDPR requirements. 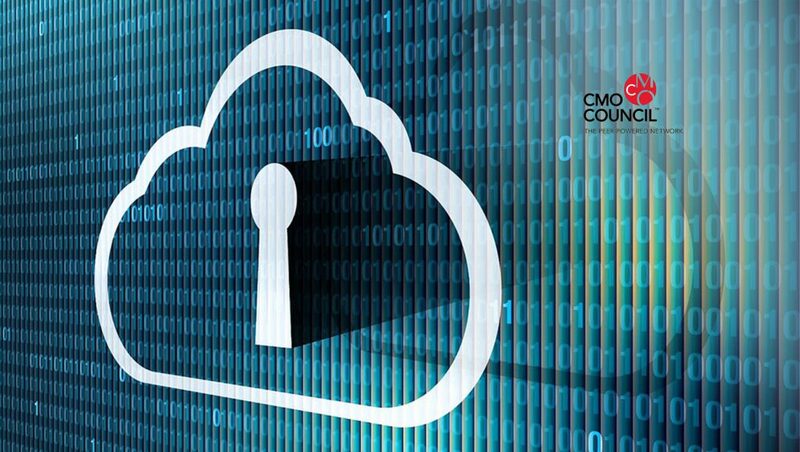 According to data from the CMO Council, in partnership with SAP Customer Experience, marketers from organizations who took the lead in preparing to meet and exceed GDPR data standards noted increased trust and engagement levels with customers. While survey respondents agreed that the implementation of GDPR standards reinforced a responsibility to better protect their customer’s data, the issue became whether or not an organization would seize on the responsibility and turn regulation into optimized experiences. For their part, GDPR leaders – those marketers who had not only established a plan but were also well down the path of execution and compliance – believed GDPR was an opportunity to deliver better customer experiences and to build customer trust and loyalty. Alternatively, GDPR laggards – marketers without a plan in place or far removed from process, having no idea if a plan was in the works – remained happy to see compliance as a burden for other teams to resolve or an issue for only EU-based companies to tackle. “What marketing leaders have seized upon is the reality that trust is the currency of today’s data-driven customer engagement – without trust, the customer will walk away from an experience, taking their loyalty and their wallets with them,” noted Liz Miller, SVP of Marketing with the CMO Council. The white paper entitled “GDPR: Impact and Opportunity – How Marketing Leaders Addressed GDPR Readiness and Compliance,” is based on an online survey of over 227 senior marketing executives, taken at the height of GDPR readiness planning and activation. What emerges is a view of best practices taken by data and engagement leaders versus the attitudes adopted by the laggards. “Savvy businesses already understand that to win customer loyalty they must lead with transparency and consent,” said Patrick Salyer, General Manager, SAP Customer Data Cloud, SAP Customer Experience. Currently, The Chief Marketing Officer (CMO) Council is a leading global network of executives specifically dedicated to high-level knowledge exchange, thought leadership and personal relationship building among senior corporate marketing leaders and brand decision-makers across a wide range of global industries.